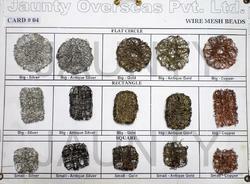 Wire Mesh Beads and available in different colours & Shapes. Color: Silver, Super Gold, Dark Gold. 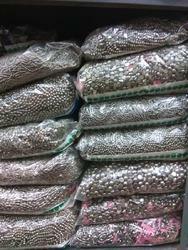 Our clients can avail form us an appealing range of Golden Metalized Beads at industry leading prices. We use authentic quality raw material and pure golden color to fabricate these golden beads. These beads are popularly known for their features like stylish design and vintage look. Our range can be customized as per the given specifications of our clients.